A woman tracks down her former lover to a remote lighthouse, which seems to be haunted by a supernatural presence. Usually shrouded in mist and isolated from civilisation, the lighthouse has long featured as a key location in horror cinema. In 1962's Day of the Triffids, a scientist holes up in a lighthouse, fending off the sentient man-eating plants as he searches for a way to wipe them out. The 1972 proto-slasher Tower of Evil sees its cast bumped off while camped out in a lighthouse. In John Carpenter's The Fog, Adrienne Barbeau operates a radio station from the top of a lighthouse, eventually attacked by undead pirates. A lighthouse features in the finale of 2003's Darkness Falls and provides the titular setting for 1999's The Lighthouse. The Witch director Robert Eggers and actor Robert Pattinson are currently teaming up for another movie titled The Lighthouse. 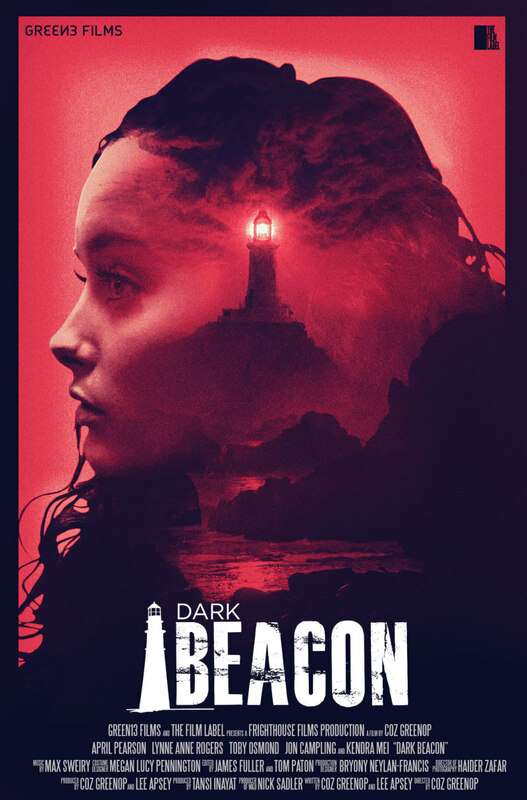 Now, writer/director Coz Greenop gives us the latest lighthouse set shocker with his second feature, Dark Beacon. Amy (April Pearson) tracks down her former lover Beth (Lynne Anne Rodgers) to a remote lighthouse on the Jersey coast. Following the death of her husband, and wracked by guilt over her affair with Amy, Beth fled to the lighthouse with her young daughter, Maya (Kendra Mei), rendered mute by a condition that has baffled doctors. Beth is initially unhappy to be reunited with Amy, but the two begin to warm to each other once more, holding back from re-consummating their previous physical relationship. It soon becomes apparent to Amy however that something isn't quite right with Beth, who is behaving in an increasingly odd manner, and it's not long before Amy begins to see visions of a mysterious figure in the distance herself and is compelled to break into the room at the end of the hall Beth keeps locked. Dark Beacon boasts an intriguing setup and location. Often disguised as mainland Britain, Jersey gets to play itself here, and the island's unique identity - not quite British, not quite French - adds to the sense that Beth has fled to a place far from mainstream society. Like the house at the centre of The Woman in Black, Beth's lighthouse is cut off from the mainland whenever the tide comes in. Like the lighthouse/radio tower of The Fog, it requires much negotiating of steps to get to. Set against jagged red rocks, it's a striking coastal feature. 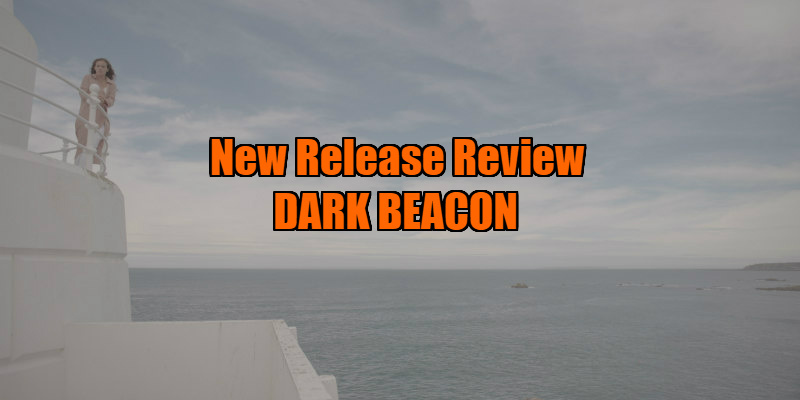 Once the meat of the plot begins to be revealed, Dark Beacon is exposed as a clunky and creaky supernatural thriller that struggles to forge its own identity. Aside from the odd figure in the background of a shot - Greenop commendably refusing to signal his scares with any cattleprod jolts on the soundtrack - there's little in the way of creepiness or tension here. Choosing to stage most of the action in daylight under the piercing sun of a Channel Islands summer, Greenop creates a novel atmosphere for a horror movie of this type, but it's a poor substitute for good old shadow and fog. Dark Beacon is held together mainly by the central performances of its two female leads. Pearson is charming and warm as the naive but well-meaning Amy, while Rodgers sells the troubled and haunted psyche of Beth, but the script and staging doesn't quite convince us of the two women's erotically charged past in the way it really needs to. 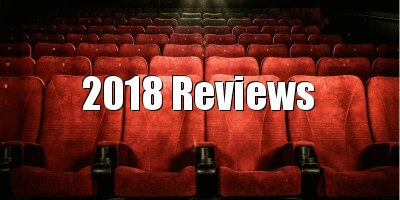 Greenop's film benefits from talented performers and a captivating backdrop, but it fails to exploit either, resulting in a film that begins as an intriguing psychological thriller, only to climax in a tiresome rehash of horror tropes. Dark Beacon is in UK cinemas March 22nd and on Digital Download March 27th.